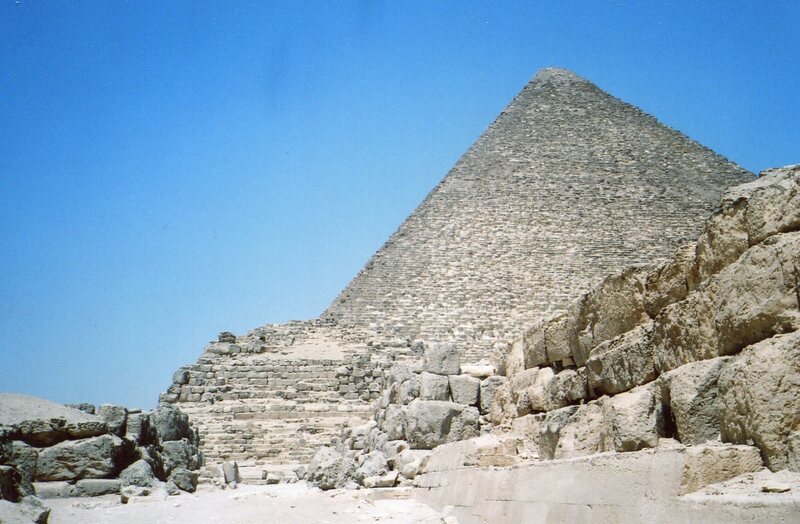 Some of my posts in the last month have been building towards the pyramids at Giza. But before we get there, let’s hang a wide right from the Nile. 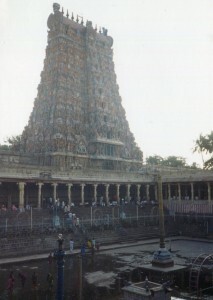 The Meenakshi Temple in Madurai (above) sports several towers (gopuras), and its highest rises to 171 feet. But Madurai’s Meenakshi Temple seems the oppsite of Great Pyramid’s simple geometry. 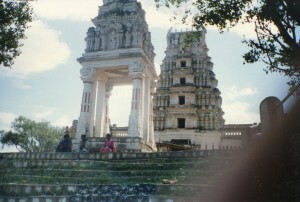 Both monuments emerged in different cultural landscapes. The Meenakshi Temple, and most other Indian monuments, don’t embody a single abstract form. Instead its forms proliferate so much that they seem overwhelming. Profusions of patterns are common in Indian thought and art. Or different eras in cosmic history. Concepts of time became as overwhelmingly vast in India as her temples. Ancient Indians and the ancient Greek poet Hesiod believed in a succession of ages. Each had a lower level of morality and quality of life than the former. Both cultures saw their own era as the last and worst. The whole cycle is called a mahayuga (great yuga). By 500 CE, the idea emerged that 1,000 mahayugas comprise a single day for Brahman, the Hindu deity who created the universe. This temporal period was called a kalpa. But these cycles were stretched again, into a series of creations and endings, until the whole shebang is dissolved in mahapralaya (the great dissolution). Then the whole process begins again. 1. You can feel overwhelmed by nature’s power and the universe’s abundance. This sense reflects India’s larger-than-life land. 2. You can feel that all forms are impermanent, and appreiate a cosmic unity that’s deeper than divisions. 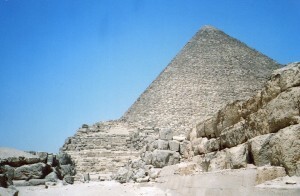 Instead of basking in the Pharaoh’s glory, you can realize that the glory of the universe is within you.